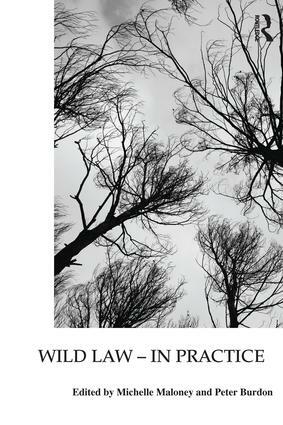 Wild Law - In Practice aims to facilitate the transition of Earth Jurisprudence from theory into practice. Earth Jurisprudence is an emerging philosophy of law, coined by cultural historian and geologian Thomas Berry. It seeks to analyse the contribution of law in constructing, maintaining and perpetuating anthropocentrism and addresses the ways in which this orientation can be undermined and ultimately eliminated. In place of anthropocentrism, Earth Jurisprudence advocates an interpretation of law based on the ecocentric concept of an Earth community that includes both human and nonhuman entities. Addressing topics that include a critique of the effectiveness of environmental law in protecting the environment, developments in domestic/constitutional law recognising the rights of nature, and the regulation of sustainability, Wild Law - In Practice is the first book to focus specifically on the practical legal implications of Earth Jurisprudence.